Amos Bar (1931-2011) was born in the village of Tel Adashim in the Jezreel Valley and was a member of Kibbutz Revivim in the Negev for a number of years. He studied at a college of education and at university. 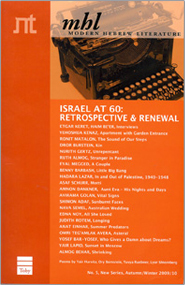 Bar edited the children`s magazine Pashosh and the Maariv supplement for children, as well as children`s books. He also wrote sketches and scripts for many children`s radio and TV programs. Bar wrote over 30 books for children. He won the Lamdan Prize for Blockade Runner and was awarded the Andersen Honor Citation twice as well as the Ze`ev Prize (1994).